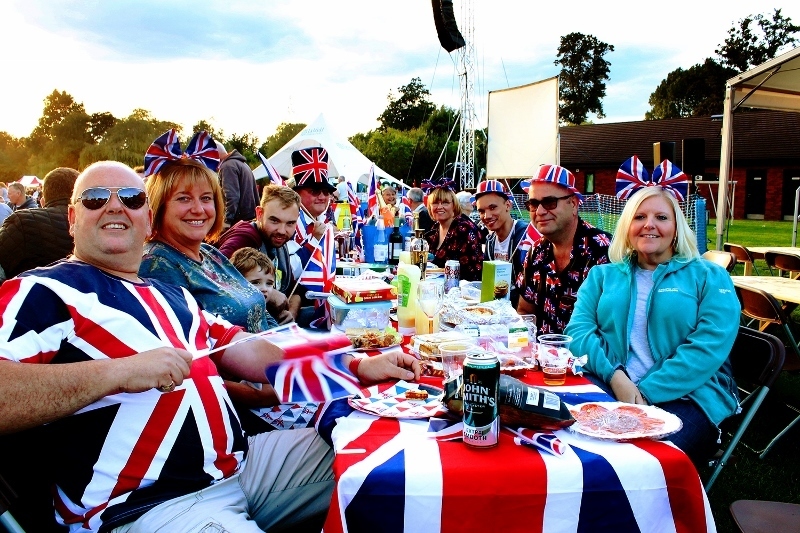 Thousands of people enjoyed a stirring and patriotic day out as the Lichfield Proms had the crowds singing along and waving their flags in the city's Beacon Park. Lichfield District Council's free annual Proms event again proved a popular attraction, helped in part by the sun shining down on the delightful park setting on Saturday 2 September. 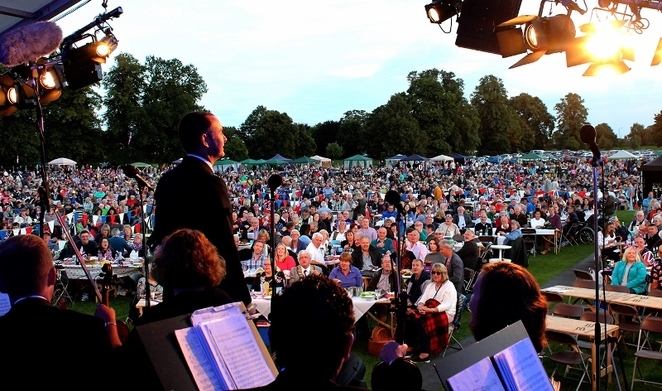 The much anticipated end-of-summer event featured music from the City of Lichfield Concert Band and the main concert, which was performed by the British Police Symphony Orchestra. But there were also rides and bouncy fun for children. The City of Lichfield Concert Band played as proms-goers found their spaces. Their programme included music from Beauty and the Beast, How to Train Your Dragon, a Disneyland celebration, a James Bond medley and many more popular classics. This led up to the British Police Symphony Orchestra taking to the stage at 7.30pm. The 75-piece orchestra, conducted by Richard Jenkinson, was joined by experienced compere, Danny Mizon. Together they took the crowd through the main programme, playing music from the likes of Madame Butterfly, Romeo and Juliet, Dances with Wolves, Lawrence of Arabia, The Lord of the Rings, and The Magnificent Seven as well as a collection of sea songs. The evening ended with everyone on their feet, waving their Union Flags to the proms anthems, Rule Britannia, Jerusalem and Pomp and Circumstance No 1, accompanied by a firework finale overhead. Councillor Mark Warfield, Chairman of Lichfield District Council, said: "The evening was a tremendous success, with thousands of people coming together to enjoy a superb evening of good music in the beautiful surroundings of Beacon Park. The musical line-up had something for everyone, combining popular film and TV soundtracks with some exciting not so well known pieces. The audience clapped and cheered, waved their flags and sang in all the right places, and seemed to have a thoroughly good time. 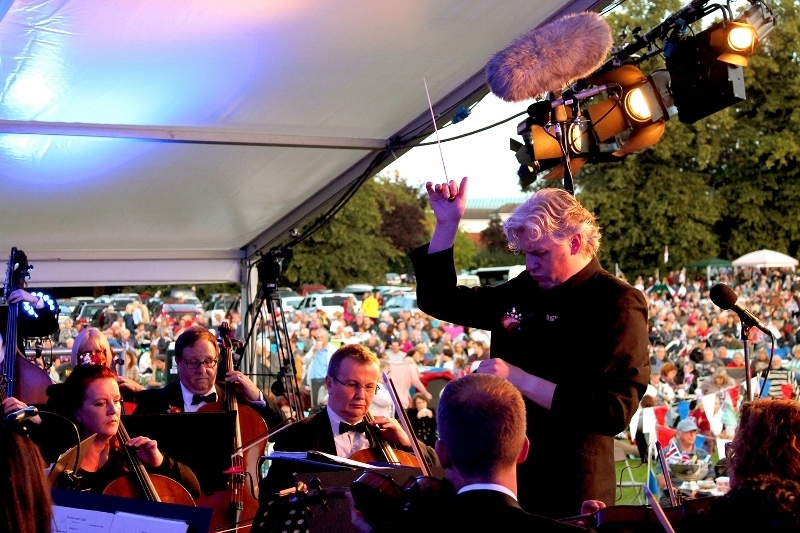 A big thank you must go to all the proms team who work so hard to organise Lichfield Proms, and to all the sponsors who help to support this spectacular event." Danse Macabre by Camille Saint-Saëns – solo violin performed by Jenny Jones. Rule Britannia by Thomas Arne, sung by Claire Prewer, Jane Stevenson and Nick Pilborough.